The interactive Look & Learn series is a multilayered, skill-building approach that introduces concepts with context reinforcement so learning sticks. These eye-catching books make early learning fun! 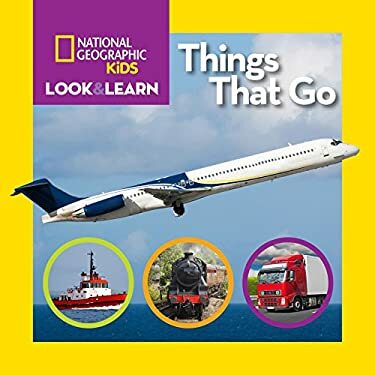 Filled with colorful photographs inspired by National Geographic Little Kids magazine, this book introduces curious children to vehicles on the move--trains, planes, and trucks.